We love what we do and we love your pets too! Muddy Paws Cleaning Services is a locally owned and operated cleaning business that has been in the Bend area since 1998. 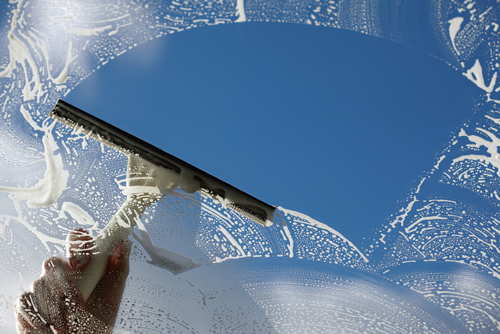 They specialize in housekeeping but also clean windows, offices, rentals and newly built or remodeled homes. They have many satisfied and happy customers that they’ve been providing services to, for years and that alone, has to say something about the quality of work they provide! Debbie Sherman started the business on her own in 1998 and has grown her business from the ground up. 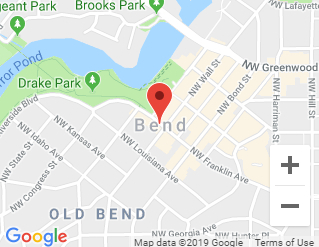 She moved to Bend in 1995 from the small fishing town of Cordova, Alaska. While there, she learned how to work hard out in the commercial fishing boats and is a dedicated business woman who treats her clients like family. Her brother Patrick joined her in 2011 and has since become partners and the head honcho in the business. Muddy Paws prides themselves on always being on time and doing great work. They are pet and kid friendly and always adjust programs to fit the needs of each client. Muddy Paws is licensed, bonded and insured and has great references and guarantees their work to the fullest. 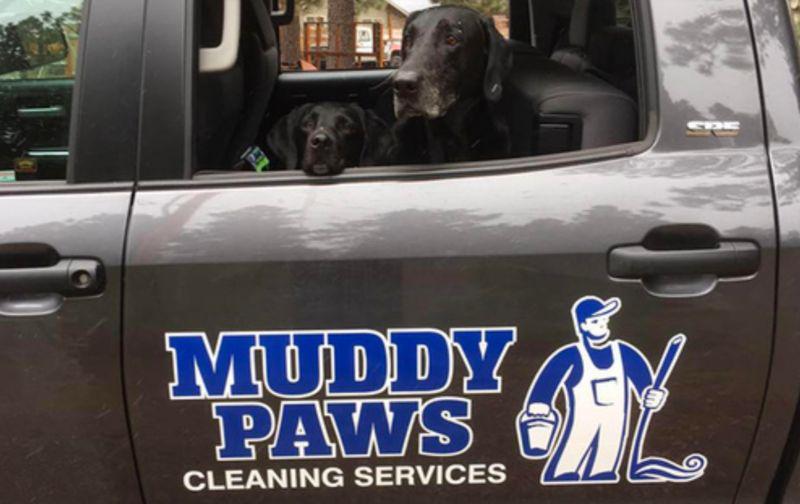 This motto was derived from their love of pets… hence the name, Muddy Paws Cleaning Services. Give them a call and they can give you a free quote and get you on your way to a spot free home or office. Muddy Paws Cleaning Services offers premium house cleaning services throughout Central Oregon. We offer many different types of residential cleaning services, including; deep one time cleaning, reoccurring cleaning on a regular schedule, before and after party cleaning, realtor showcase cleaning, vacation rental services and more. Muddy Paws Cleaning Services is fully licensed, bonded and insured. We have happy references upon request and all of our work is guaranteed. We put our clients and their cleaning needs first! So, if you’re interested in having your home or rental property professionally cleaned by a reputable company, we are here for you! Commercial/Office Cleaning- Muddy Paws Cleaning Services offers commercial cleaning to businesses, big and small. We understand the importance of a clean and professional image that all companies and businesses thrive for. Our cleaners can help you achieve this image and beyond. We can clean any type of commercial or professional building and can tailor it to your needs and budget. When choosing Muddy Paws Cleaning Services you can expect quality work performed by a professional team of that puts your needs and goals first. We guarantee our work and stand behind it with pride and dedication to getting it right every time. We have experience in office cleaning and have references upon request. Our program is your program and we will do it the way you want it done. Let Muddy Paws Cleaners get your office or building whipped into shape and let’s figure out a maintenance cleaning program that meets your needs and budget. 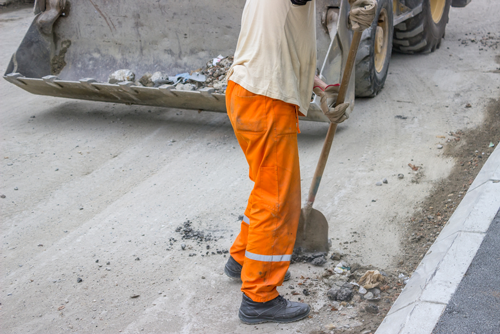 Post Construction Clean Up- Muddy Paws Cleaning Services offers post construction cleaning in Bend, Redmond, Sisters, Sunriver, Terrebonne and everywhere in between. Our cleaning crew will transform the dusty new construction into a sparkling clean home that will be ready to show a potential buyer or for a new homeowner to move in. We do the windows inside and out and we take great pride in the work we do. We also do post construction clean-up in the case of an unfortunate disaster and remodel or just a upgrade to something new. When choosing Muddy Paws Cleaning Services, you’re choosing caring, well-experienced, licensed and insured professionals. We will get your project or home looking the way you want it to look and feel – and perfectly clean! Have used Patrick, Debbie and crew for many years, both residentially and commercially. They are the best in top to bottom, nook and cranny cleaning. I highly recommend their services. I hired Muddy Paws to spring clean my house and wash all of my windows. They were prompt, professional, courteous and so easy to work with. They saved me hours of labor intensive cleaning. They exceeded my expectations! Debbie and Patrick have been cleaning for us since we bought our Bend home in 2009. We received their info from the previous owners and couldn’t be happier with their work. They cleaned for us for 4 years while we lived across country and we only used our house for vacations. The house was always in great shape when we arrived and they kept in constant contact with us to keep us updated when we were not living here. We moved here permanently in 2013 and they have continued to take great care of the house (and us). We got our first dog a year ago and he is even a bigger fan of theirs! She LOVES when they come to clean as they give her lots of love and attention and let her follow them around as they work. We highly recommend Muddy Paws Cleaners to any homeowners in Bend as they take great pride in their work. How Much Does a House or Office Cleaning Service Cost? Every home or office is unique, and it’s cost is individually based. There are many things that determine the cost including; the size of your home or office, number of residents, number of pets, number of bathrooms, how often you want our team to clean, etc. We have hourly and per-cleaning rates that are affordable and flexible. If you would like to get a free quote, please fill out a contact form or give us a call. Will All Cleaning Visits Cost the Same? The first home or office cleaning usually costs more than subsequent visits. Generally it takes additional cleaning tasks for our team to get up to Muddy Paws Cleaning Services standards. The first visit is performed on an hourly basis. Your estimate for this visit will be expressed as a cost range. We will contact you for authorization in the event that it will take more time. Once this initial visit has occurred, your home or office cleanliness can be easily maintained with our regular cleaning services. 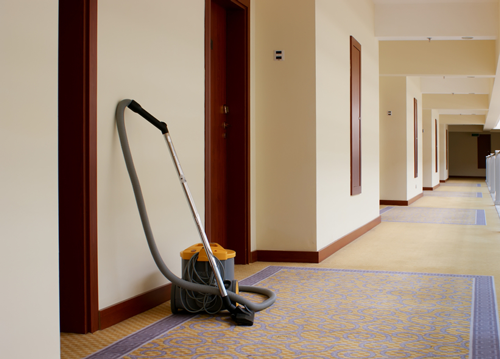 Regular cleaning visits are charged as a flat fee. You will receive an estimate for both the initial cleaning and the regular cleaning, up front. Once the initial cleaning has been completed, we will confirm your regular cleaning price. Do I Have To Be Present When Muddy Paws Cleaning Services Clean My Home or Office? This is up to you. Most of our clients are usually out while we clean their home or office. It doesn’t make any difference to us. Either way, we will show up on time and complete the job in a timely matter. What Should I Do With My Pets During the Cleaning Service? Please advise us if you have pets and provide any information regarding your pets that would be helpful for us to know. Our motto is “We love what we do and we love your pets too!” We don’t require them to be out of the home or locked away. They love when we come! Muddy Paws Cleaning Services is very pet friendly. Are My Valuables Safe with Muddy Paws Cleaning Services? If you have any special valuables, heirlooms or irreplaceable items, please put them away or instruct us not to touch them. A closed door or drawer is your signal to us that you do not want our team to clean that area. We carry all the necessary insurances in the event that any damage occurs. We are licensed and bonded and take great pride in being trustworthy and loyal to our clients. We have the references to back that up and we value your trust and treat each space as our own. Are Your Products Environmentally Safe or Green? We offer eco-friendly cleaning products upon request. 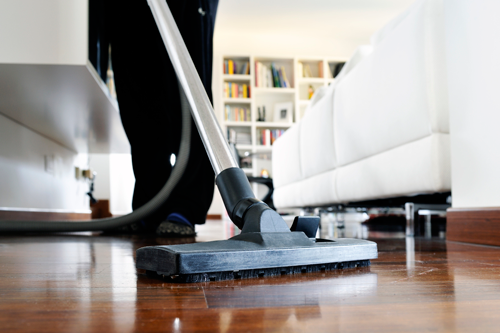 We thoroughly vacuum them and clean them with a product that is recommended by trusted wood floor installers. Over the years, we have discovered that every manufacturer has very different stainless steel. We have products that work very well in addition to a proper cleaning cloth. How Often Do You Recommend That I Have My Home or Office Cleaned? Our recommendation is weekly. But, with children and pets, every other week at least. We also recommend a deep cleaning every so often to keep your home or office healthy and to preserve the life of your space. Can I apply for a job at Muddy Paws? We are always looking for good staff. If you want to be part of the Muddy Paws Team you can download an application here.